I went out the way not to comment on this after it happened, because I wanted to give it time to marinate in the consciousness of the people. This was truly a tragically sad story. The hood is a death trap for black men. Read this next line carefully because it's a bonafide FACT: There is NOTHING good in the hood for black men. Nothing! It's the place where dreams for black men go to die. Black men aren't even honored in the hood as men. Proof: why are there so many single parent households there headed by women and not men? Well, one reason why is because the government which has pushed policies designed by Democrat leadership since the late 1930's have incentivized black women to not be married before having children. If anything they actually rewarded women for having kids out of wedlock, which is a guaranteed path to a lifetime of poverty with generational poverty to follow. You ever wonder why the government never gave an incentive to men to own their own homes in the hood, or to have custodianship of the children? Because with men as the household head, order would've permeated down to the street level and there could be no chaos to exploit for political and economic gain. Why would black men try to save an area where black fatherhood, black husbandry, even black businesses headed by black men are not honored? You cannot be head of anything that you do not legally control or own. Black men don't own much of anything in the hood; particularly the resources that drive wealth creation. And you equally can't be head over anything that does not respect your headship. Sorry, but we have a generation of black women produced and raised by feminist mothers who taught them never to respect black men or allow a black man to be their headship. How on earth can you build a family structure with someone harboring such a mentality? Without respect there won't be marriages. Without marriages there won't be families. What we often call a family is really a broken family and a dysfunctional self-created mess. Broken families create broken communities. In the absence of families and households led and headed by men there will be chaos, disorder, grinding poverty and every type of societal ill known to mankind—hence the hood. 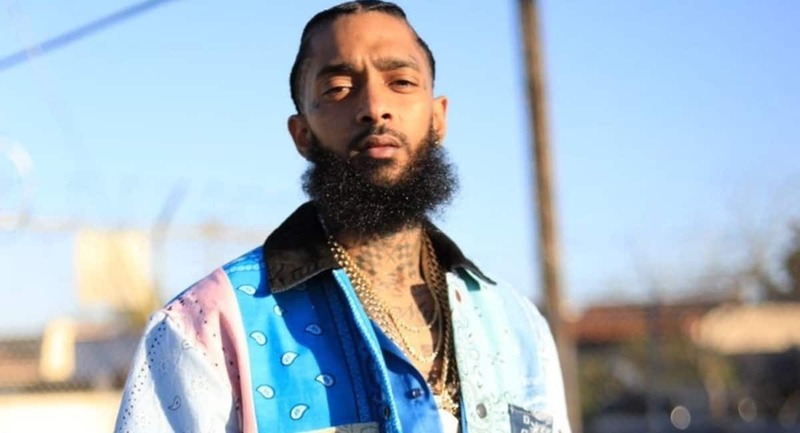 Nipsey Hussle in my opinion failed to understand many of the key drivers for why the hood became the hood in the first place, and why it has such a universal pull and suction for far too many black Americans across the nation. The hood is a DEATH TRAP for black men. A spirit of death permeates the very atmosphere of most urban communities. Again: these are areas where black women are the main heads of households raising kids on their own with some type of government sponsored financial incentive: be it welfare or the collection and disbursement of child support. So the criminals, the gangsters, the drive-by shooters and the ones who prey on their own within the hood are primarily dudes raised by single black women incentivized by the government to NOT include black men in the creation of solid family and community structures to nurture these children within. These women, who fell for the incentives, felt they didn't need to follow God's prescription for successful community building, which happens via marriage first. They essentially made government their god in place of God. And now their children must reap the harvest of what their mothers have sown for. Granted, many of these women are operating from a generational programming that they've inherited from prior generations of women in their family line. But unless we address this as a core issue, we'll never be able to help the hood or those who actually enjoy living within the borders of its dysfunction. The spiritual energy behind the hood is rooted deep within African vodoun culture. Basically, the hood is under the spirits of Ogun and Yemaya. Ask yourself: what do black Africans from the poorest areas, black Americans and Haitians all have in common? Besides extreme poverty, being surrounded by resources that others can take advantage of but we cannot, the obscenely high out of birth wedlock rates and the high crime: the answer is voodoo. Voodoo is still the spiritual power and force behind the longevity of today's urban hood, and the culture that springs forth from it. And it's been a plague and curse on black culture for far too long. The best thing that ever happened to black folks was CHRISTIANITY. I don't have time here to go into detail. 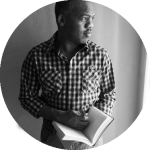 Pick up a copy of my ebook DEFEATING ANTICHRIST: Demolishing The Myth That Christianity Is The Oppressor's Religion if you want to read my thoughts and proof on this for yourself. He shouldn't have been hanging out in the hood. He shouldn't have made himself so easily accessible being a huge star in the LA region. And he shouldn't have been gang affiliated still. There is a spiritual energy and power attached to all gangs. None are exempt. If you own a copy of my ebook GANGS AND DEMONS, you'll see where I list the major super gangs such as the Bloods and Crips, and the ones out of Chicago that seem to have spread around the nation and to many parts of the world. And I list the specific spiritual power behind those gangs. They even have American gangs in the Caribbean! Did you know that? Each gang has a specific spiritual entity—what I call a demon—that is the patron saint or spiritual overlord of those who are part of the gang. This is who your ultimate allegiance goes to in the gang, whether you know it or not. Satan doesn't play fair and only seeks to steal, kill and destroy through deception. Liberty from the spiritual power of gang affiliation can only come through connection with Jesus Christ. Until that happens, NOTHING will change in urban America. No one can save the hood from its own poor choices, bad decisions and those who intentionally prey on the naivete of misguided women stuck in generational poverty and dysfunction. No amount of money poured into the hood or legislation will solve anything until we first address the core underlying problem: the lack of respect for genuine manhood and men, which is really a lack of respect for God, His order and His way. African-Americans and those from the slave diaspora are a different type of people. By now that should be self evident to all. We need a different approach and solution to our problems than what has most often been presented. Nipsey Hussle didn't understand this. He was just 33. I didn't understand this either as a 33 year old. It took me years of unpacking why my own life was the way that it was, what made me tick, what led to my choices in life plus copious amounts of research to understand the many dynamics that went into why the hood remained the hood in spite of so many efforts by so many people to change it. I'm a product of the hood. I was all in the streets. Yet, I was able to overcome through my connection to Jesus Christ, and from being willing to learn when I knew I was ignorant. I applaud what the young brother tried to do there. Unfortunately it cost him his very own life. The hood literally consumed him. And it'll continue to consume our best and our brightest until we stop claiming these urban plantations that we were funneled into, and start seeking our own chunk of the American dream to lay hold of. We can build the best thriving communities in the world; but we'll need to do it God's way—not our own.